A former staff of Fidelity Bank Plc, Ihionu Chibuike, on Thursday bagged six years imprisonment for fraud. 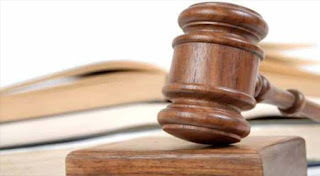 Justice Lateef Akapo of an Ikeja High Court sentenced Ihionu Chibuike to jail after he pleaded guilty to the four-count charge of stealing, obtaining money by false pretence, forgery and impersonation. The charge was brought against him by the Economic and Financial Crimes Commission, EFCC. The victim, Mr. Ifekwe, reportedly transferred money into the Fidelity account purportedly opened for him. being the outstanding balance, to the victim. The convict has so far refunded N3,498,408 of the stolen sum.